There's a saying in agility circles, "Just one little thing." Just one little thing refers to making one little mistake in an agility run that keeps the team from qualifying. This "Just One Little Thing" syndrome is epidemic in agility. 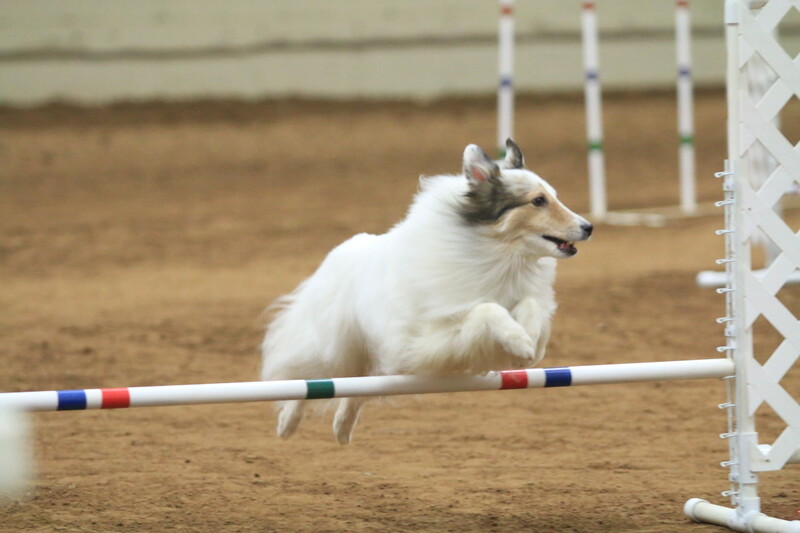 Look at the results after an agility trial, and you'll see team after team with only one refusal, one wrong course, or one failure to perform. 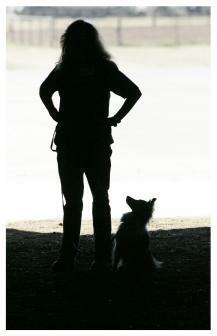 Handlers wonder why their team keeps making the "JOLT" errors, and often they blame their dogs. The fact is, most of the JOLT mistakes are slight mental errors on the part of the handler. 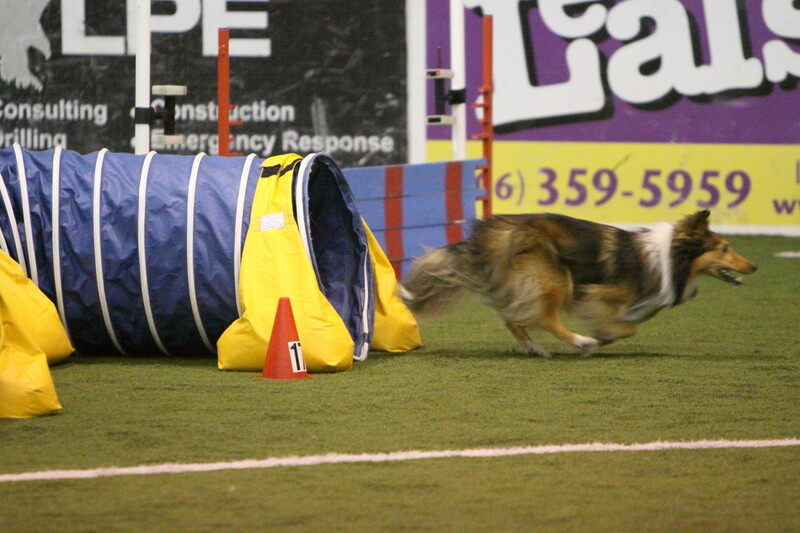 While agility runs typically only last 30 - 70 seconds, the mental focus required to guide a dog running at full speed safely from obstacle to obstacle is intense. 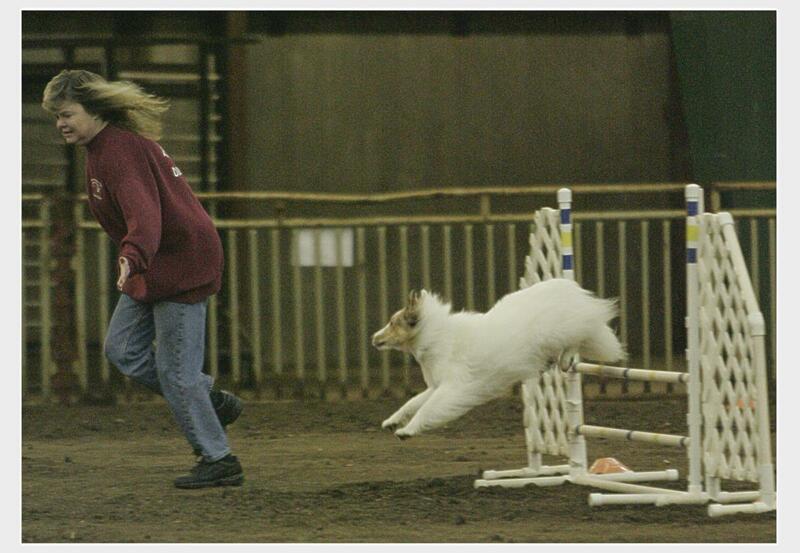 Agility is a sport that is much, much harder than it looks. Just having the handler's feet point half an inch off of an obstacle can send a dog whizzing off course. The millisecond timing, perfect precision and total control of the body needed to successfully run agility's increasingly complicated courses requires complete focus throughout the run. This intense focus requires a strong mental game. Yet, how does a handler develop that kind of focus? 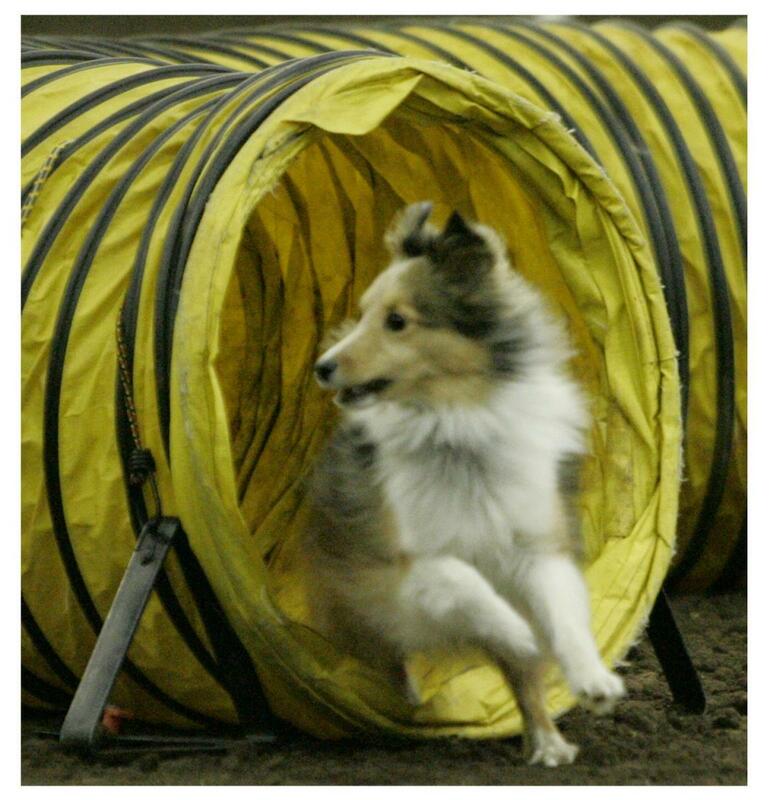 An agility ring is filled with distractions, not only for the dog, but for the handler as well. Did the judge raise his hand? Did that bar knock? Is my shoe untied? Oh no, I forgot to put my hair up! Is my dog going to hit that contact? Are we going to Q? Unbidden thoughts like this race through the handler's mind as the precious seconds allowed on the course tick away. 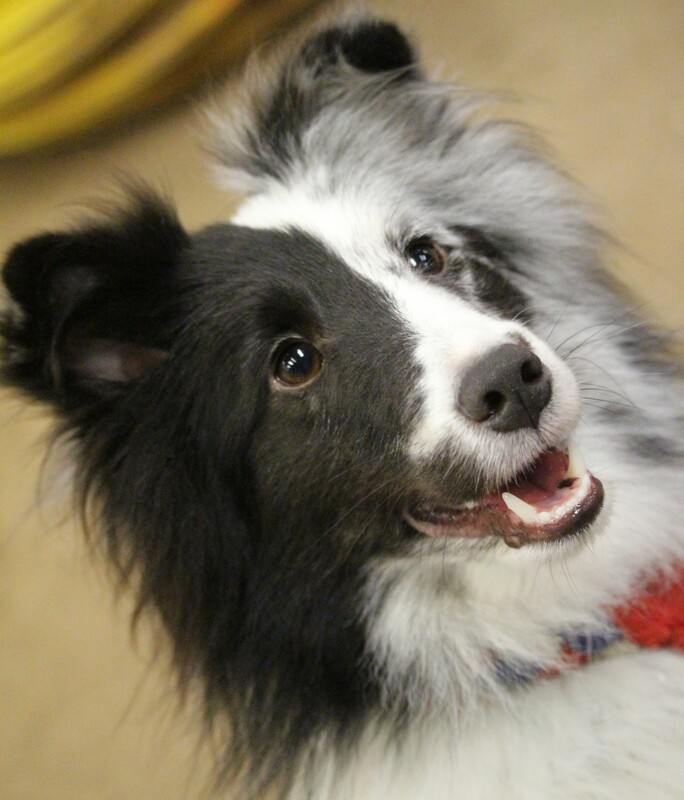 These thoughts distract the handler from the job at hand - using her acceleration, deceleration, shoulders, hand signals and voice to move her dog efficiently around the agility course. These thoughts enter the mind and BAM - focus is lost and a hand is left out sending the dog off course. 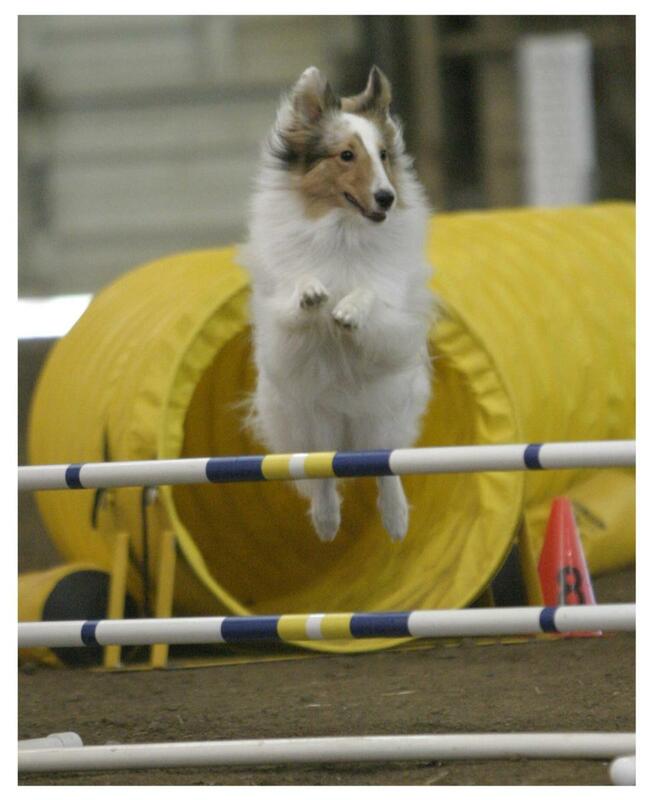 I have always struggled with focus on the agility course. After learning about the importance of the mental side of agility, I started implementing some of the techniques commonly used by athletes in other sports, and the results were astounding. My dog and I went from a 50 percent Q (qualifying) rate to an 80 percent Q rate. After I taught myself how to focus, we began to achieve the success I knew was possible. While there were many aspects to building a stronger mental game for myself, the biggest obstacle I had to overcome was to train my mind not to focus on "Qualifying." 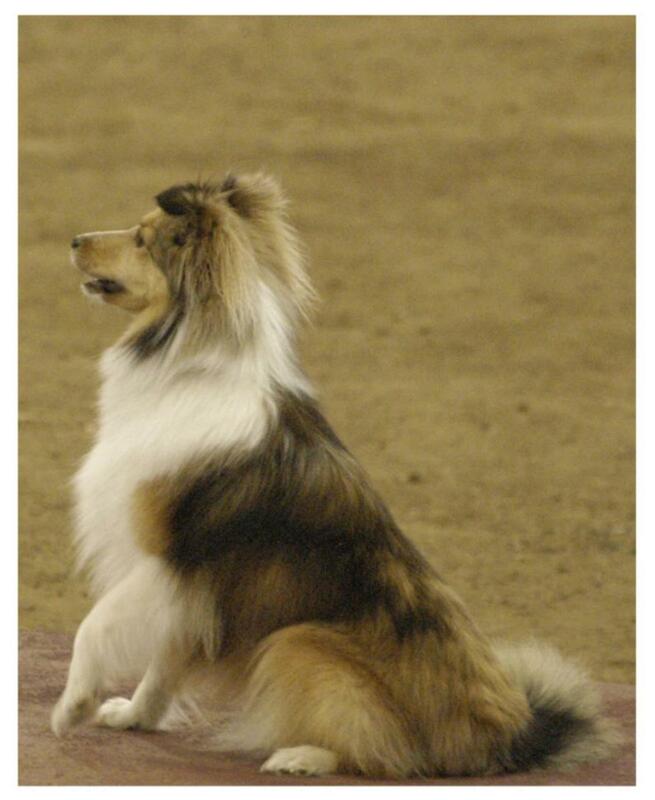 In agility in the United States, dogs earn titles (basically awards) by qualifying. 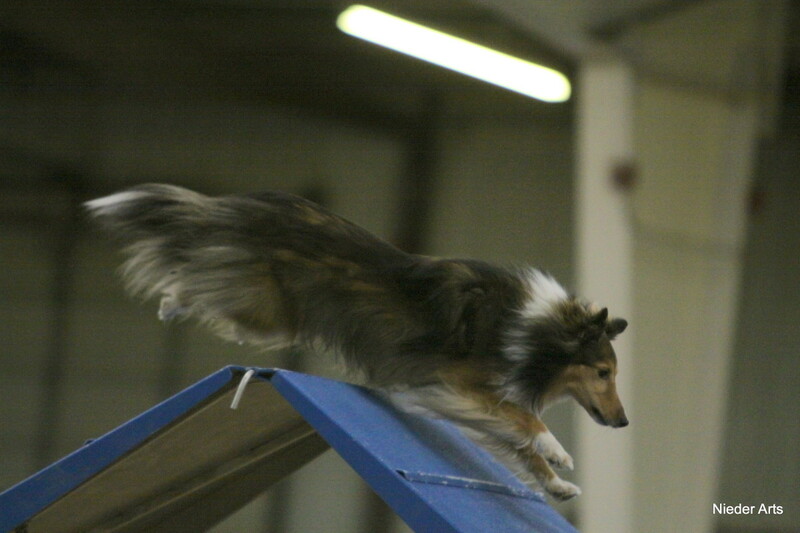 Qualifying means the team has passed the requirements of the agility course presented that day. By gathering Qs, teams can move up the ranks of agility to higher and higher levels and achievements. At the top levels, teams can only Q by having clean runs with no mistakes. The JOLT syndrome means a team is losing Qs - probably due to a lack of focus on the part of the handler. 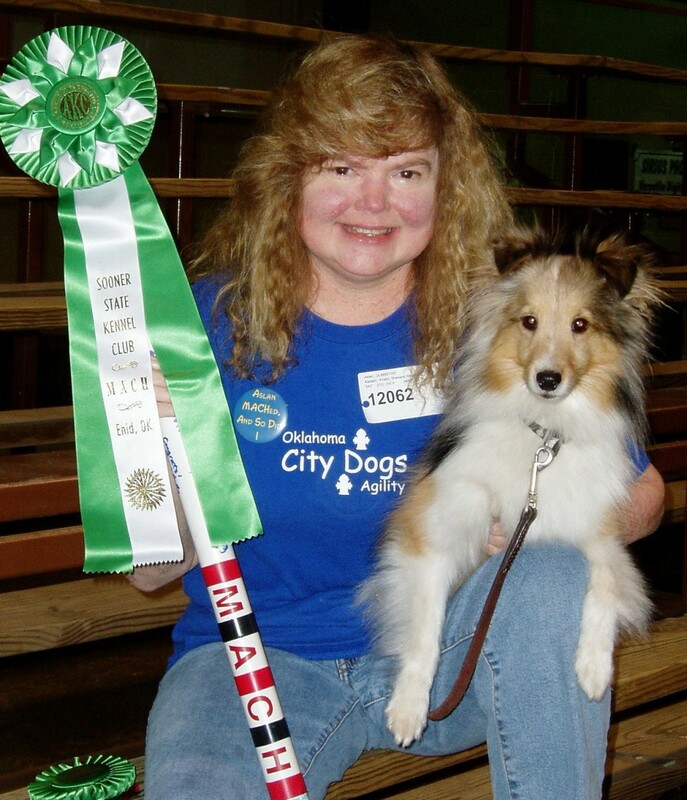 I learned how to build focus by learning to control my thoughts before, during and even after an agility run. One of the biggest helps for me was learning the importance of focusing on the run itself, not on the outcome. So often I'll hear handlers comment, "We really need this Q!" 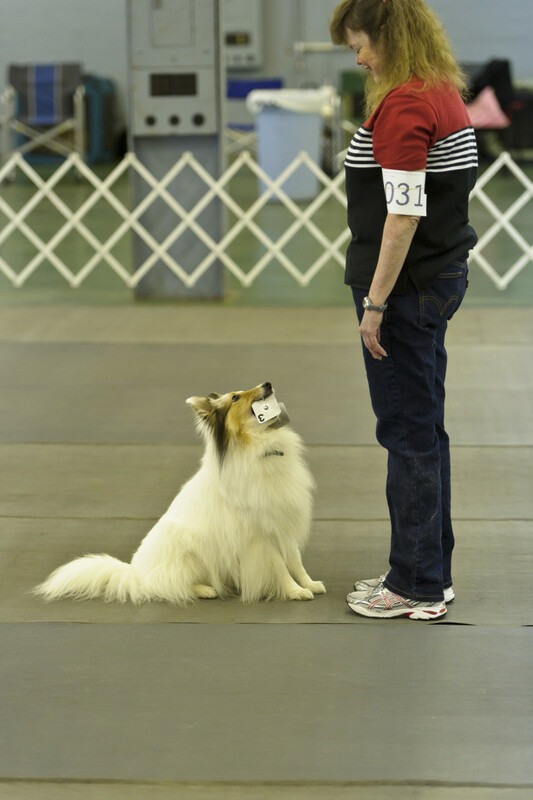 A handler focused on qualifying is focusing not on the agility course but only on the finish line. 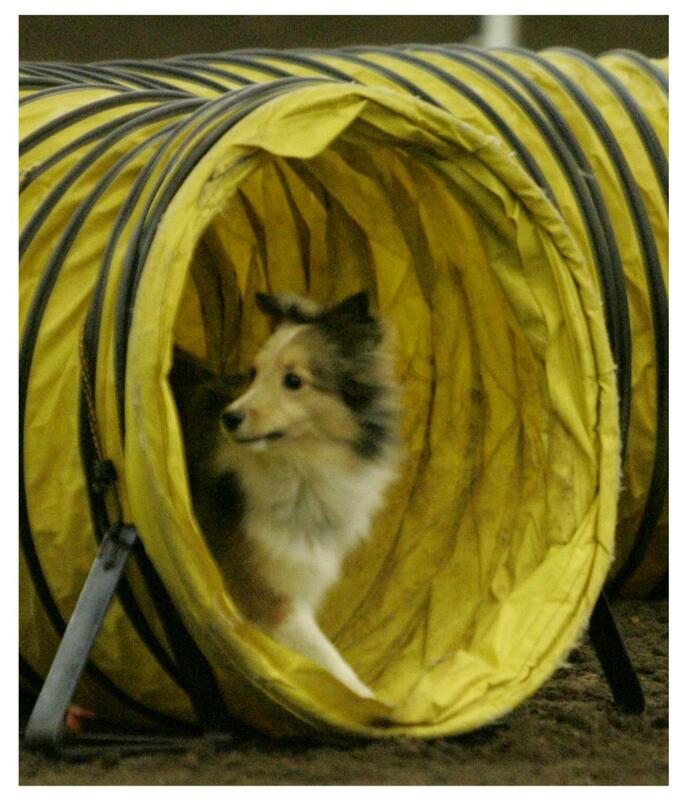 A Q happens after the dog finishes the last obstacle. Placing focus there means ignoring how success is achieved in agility, and success is achieved on and between all of the other obstacles on the agility course. Focusing on the Q is focusing on the end. The focus should be on the process of getting that Q. It should be placed on the tiny details the handler must communicate to the dog throughout the run. That's where the process of Qing occurs. That's where success lies. If my mental game is sharp, before a run I am focusing on all of the details I need to execute in order for my dog to successfully complete the course. For instance, if a course requires a wrap off of a jump, I will be mentally visualizing putting up a pre-cue hand signal indicating a wrap with my other hand still supporting the jump. I will focus on the timing and speed of my deceleration to indicate a wrap, the timing of my lateral movement, the timing and placement of my shoulders indicating a wrap verses a turn in another direction, the timing of my voice command calling for a wrap verses any other type of turn, my footwork as I execute the cross, the timing of my complete turn away from the jump as I run toward and indicate the perfect line for the next obstacle. And all of this is just for one obstacle. With each obstacle I will be visualizing these subtle cues, and my job is to focus pre-run and during the run so that not one of these tiny details are missed. In the more complicated agility courses these days, we are giving potentially hundreds of tiny cues as we zip around the course at "squirrel chasing" speed. Taking a second to think a stray thought can cause one of these cues to be late or forgotten, and the dog goes off course. The "just one little mistake" is made. Have you studied the mental game as it relates to dog sports before? When I was first learning how to focus, I found it impossible to focus on all of the tiny details in a run. There were so many!! How could anyone focus on all of them? I was overwhelmed. Instead of focusing on everything, I learned to choose one or two sections of the course, and during pre-run visualization, I would focus most heavily on those. I might decide to focus on giving the proper and timely cues for a difficult obstacle discrimination on the course. I would focus on a couple of the important details including shoulder placement, hand signal, voice and forward motion. I might create a "true goal" statement to help me achieve even better focus on the discrimination. I might also choose one other place on the course where communication between my dog and I would be at a premium. I wouldn't ignore the rest of the course, but I would focus on the details in these two places. With only having one or two places to focus on the details, I found it less overwhelming. Over time, it became easier and easier to focus on these few details, and I realized I was training my mind how to focus. Like any activity, it was hard at first, but became easier as I practiced. Soon, I decided to add in another area of concern, and I was now trying to focus on three areas in each run. By slowly adding in more and more details, I was able to "train" my brain to stronger and stronger focus abilities. Unfortunately I am not 100 percent focused all of the time, however I no longer feel overwhelmed when attempting to focus on the course verses focusing on the Q. I am able to put my mental strengths to bear to minimize thoughts of the Q and the outcome. I am able to minimize random thoughts that distract during a run. When I am at my best, I am extremely focused, and we hit the zone. A "zone" run is when it feels like time actually slows. You feel like you are running in slow motion. Your thoughts are crystal clear. Your hearing and vision may become more acute. Your thinking, while happening at the speed of the run, feels strong and controlled and yet slow. You feel may feel totally connected to your dog. In the zone runs I have experienced, I have left the ring thinking we had a great, fantastic run, but it was slower than normal, yet when I look at the time and yards per second I realize that it was a smokin' run for us. We had hit the zone, and time had slowed. The feeling of a zone run is like no other, and some competitors do agility just to reach "the zone." I will never achieve 100 percent focus all of the time. If I don't work at it, I find myself easily distracted during a run. However, by paying attention to the details of the run verses thinking about whether we can Q or not, I am able to substantially increase our Q rate. Take time before each run to visualize your run. During this time, choose one or two places where you will focus on the tiny details of handling. Pay attention to forward motion (including acceleration, deceleration, lateral motion,) shoulder placement, hand signals and voice. Imagine executing all of these signals in that section of the course perfectly. Visualize your run several times before you and your dog step to the start line. During the run, focus on those sections and try to execute them just like you did during visualization. If thoughts of Qing enter your mind either before the run or during the run, banish them. Your goal is to focus only on the run and on the details required in your two chosen areas. That's your job. By focusing hard during those two sections, you will teach your brain how to focus. If you've done your job well, by the end of the run you will find you haven't thought about Qing. You've only thought about the run itself. And isn't that where the Q happens anyway? 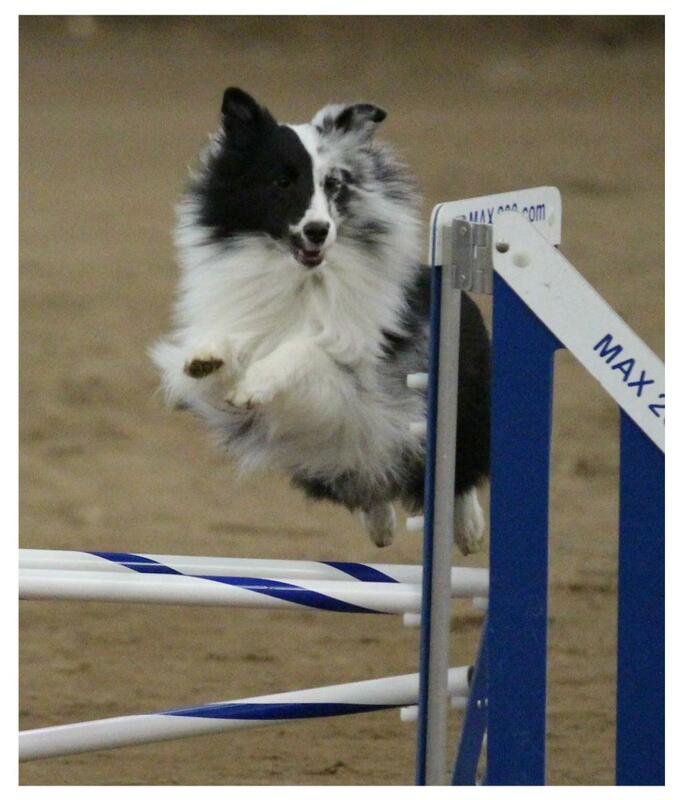 Wonderful post on proper focus in dog Agility. Thanks! I love the idea of focusing on just a few technical issues for part of the course. Always enjoy your hubs. Oh, I don't know if I could focus, but I understand how a jolt could be the wrong thing for the dog. Interesting. Thank you for dropping by barbat79! !